The Walk Free Foundation highlights Morocco's progress in the fight against modern slavery. The country has improved its score, in comparison with previous editions. The Global Slavery Index uses advanced research to estimate the prevalence of modern slavery in 167 countries./Ph.DR. Morocco is making progress in the fight against modern slavery. According to Walk Free Foundation’s latest report, (an organization that fights against modern slavery and human trafficking), the kingdom is rated «CCC», scoring between 30 and 39.9 points. An improvement compared to the previous edition of the Global Slavery Index. In 2016, the Kingdom’s rating was limited to CC, between 20 and 29.9. The report sets scores ranging from A to D, with six intermediates: BBB, BB, B, CCC, CC and C.
Morocco is compared to countries like Jordan, Japan, Lebanon, Singapore, Gambia, Rwanda, Namibia and Algeria. It also ranks in the medium risk category, alongside Mexico, Peru, India and Indonesia, among others. The report evaluates the situation of modern slavery in 167 countries. Morocco has an estimated prevalence rate of 2.4 out of 1000 victims of slavery. As for the number of victims, it is estimated at 85 000 people throughout the country. The Kingdom is above of Algeria, where the prevalence rate is estimated at 2.7 out of 1000 victims, with 106 000 victims. Tunisia is also behind with a prevalence rate estimated at 2.2 and 25 000 people subjected to modern slavery. The Walk Free Foundation also defines modern slavery as an exploitation situation that a person cannot abort due to threats, violence, coercion, and abuse of power or deception. Deficiencies identified in the kingdom are particularly relevant to governance issues, where the country scores 60.7, followed by a lack of basic needs (18.8), inequality (38.1) and the deprivation populations of their rights (35,7). The Global Slavery Index uses advanced research to estimate the prevalence of modern slavery by country, in more than 160 states. 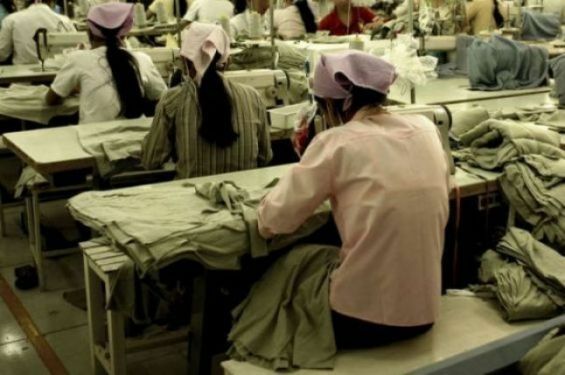 For the first time, this fourth edition is also based on commercial data on products likely to come from a labor organization related to different forms of modern slavery.